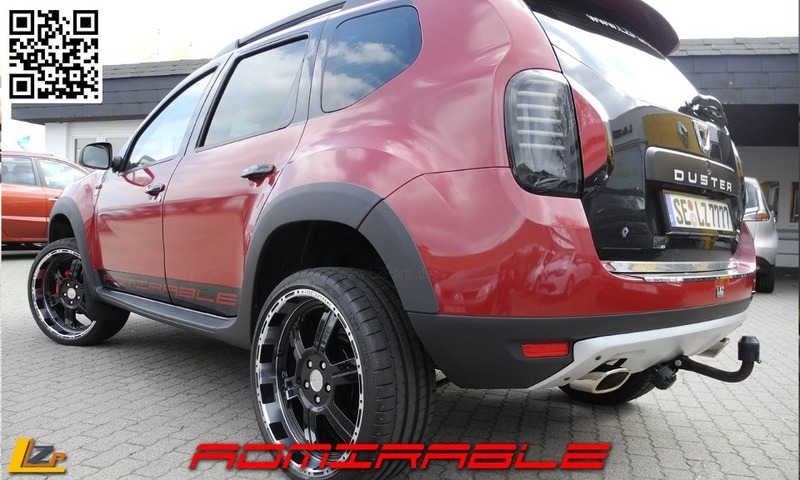 Even if Dacia Duster is the cheapest SUV on the market, the tuning houses love to improve its design as lately demonstrated by the Germans from LZParts. 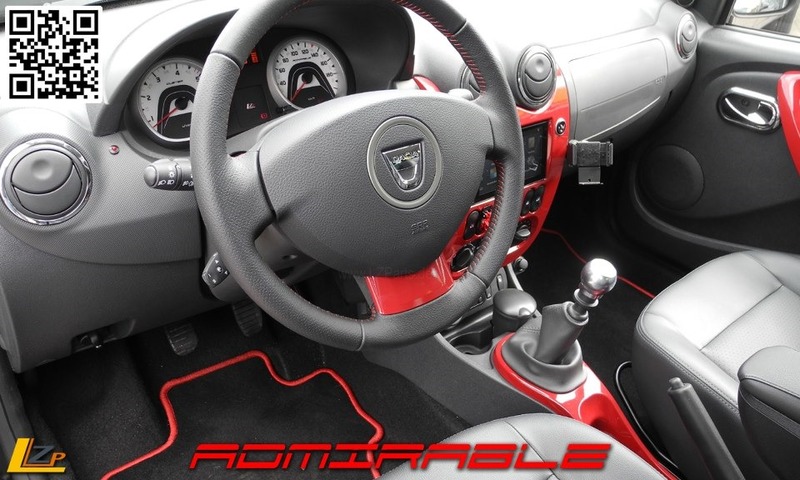 The Germans from the LZParts tuning house transformed the Duster in a 4×4 gadget with an emphasize on accessories. The limited edition is called Duster Admirable and has some major design improvements: the Red Burgundy CarWrap that covers most of the body, the head and tail lights that receive LED technology and a mini-bull-bar with two additional projectors. The Duster Admirable will be distinguished in the night by the mini-spots inserted in the mirrors that project the Dacia logo on the road. The basic wheels are 16 inches, are finished in matt black and use Conti CrossContact All Terrain tires but if you want a more aggressive look you can chose the 20 inches wheels with the W-TecExtrem 8.5×20 ET35 tires. 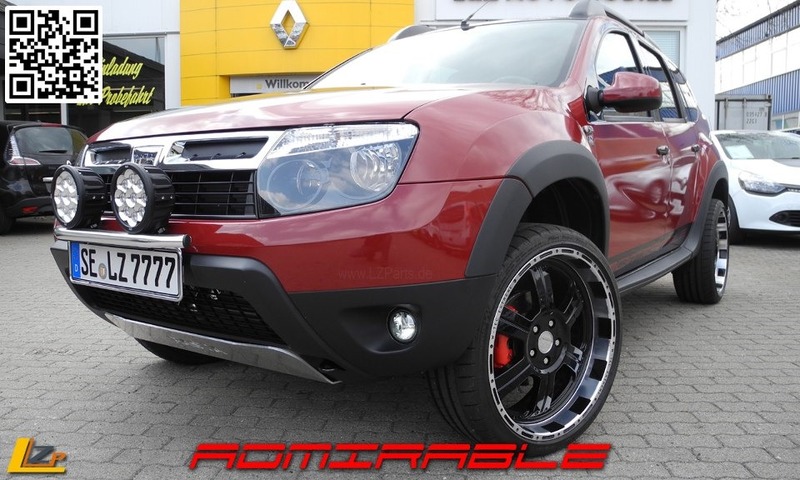 The Duster Admirable is elevated by 3 centimeters due to the new H & R springs and the lower part is protected by shields. In the interior the central console has integrated a Parrot Asteroid Smart navigation with touch screen and a variety of features, including a outside temperature thermometer. But the most interesting thing is the adapted autopilot controlled by a lever near the steering wheel. The car gauges have been also modified, using a special night lighting system. The audio system has been upgraded properly and the spare wheel was replaced with a Sinus Live subwoofer.